This tour will guide you south from the spectacular Gateway Arch in St. Louis and to St. Charles before turning back to the Mississippi River past French Colonial towns of Cape Girardeau and Charleston where Lewis and Clark first entered Missouri Territory in 1803. 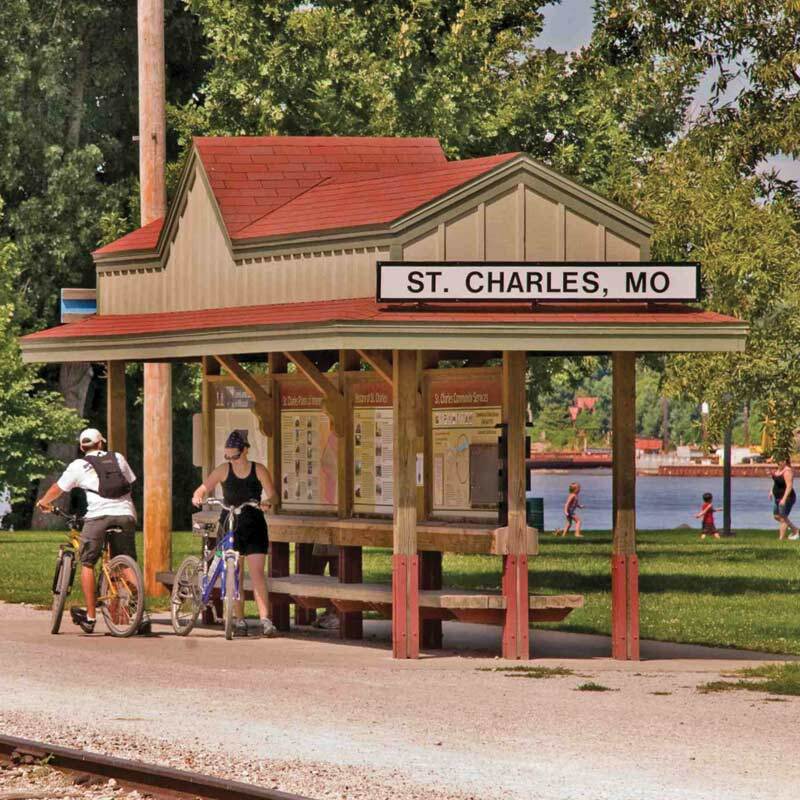 The tour circles northwest past an array of scenic wonders, parks and historic sites before returning east through Eureka and St. Louis. 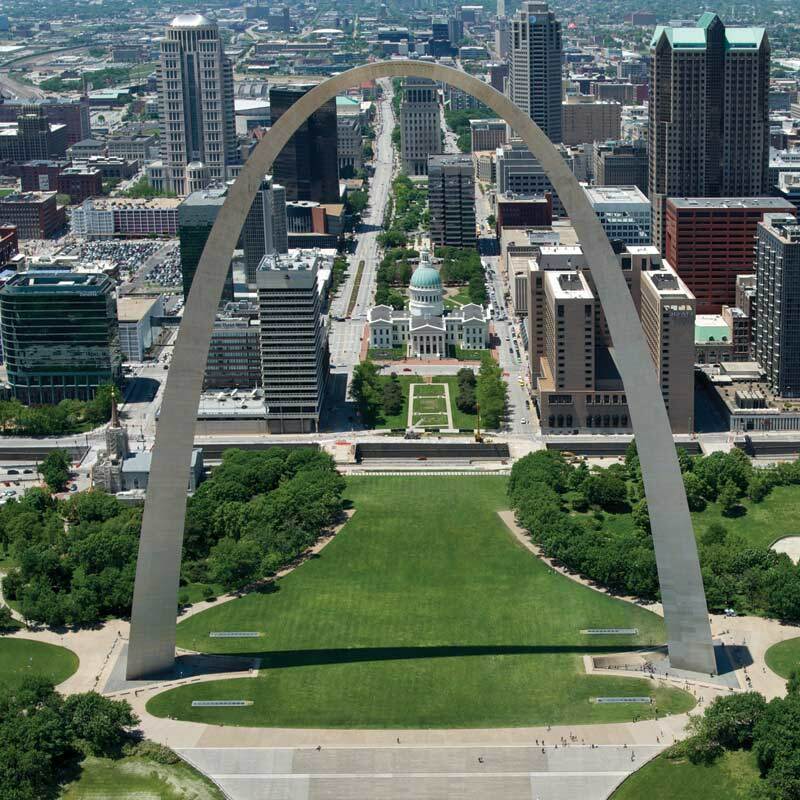 The iconic Gateway Arch stands as a beacon for visitors to St. Louis and the region. West of downtown St. Louis is historic Forest Park, the site of the 1904 World’s Fair. This 1,371-acres park is home to some of St. Louis’ most prized attractions, including the Missouri History Museum, the world-famous Saint Louis Zoo, Saint Louis Science Center, Saint Louis Art Museum and the Muny outdoor theatre. Located just 10-minutes from the Gateway Arch is Anheuser-Busch Brewery. In close proximity is the Soulard neighborhood, one of the oldest communities in St. Louis, which hosts major festivals, events and nightlife. The historic Cherokee Street with its unique collection of antique shops, the Chatillon-DeMenil House and Benton Park are nearby. Powell Hall (home of the Saint Louis Symphony), the Fabulous Fox Theatre and Saint Louis University are all part of the Grand Center, the cultural center of St. Louis. A full-size replica of the Corps’ keel boat and pirogues are in the Lewis & Clark Boat House, Museum and Nature Center at a scenic city park on the Missouri River. A larger-than-life statue of Lewis & Clark and a statue of Daniel Boone are nearby. The picturesque downtown area features the first Missouri State Capitol and historic homes and buildings housing one-of-a-kind antique shops, restaurants and art galleries. The Foundry Art Centre features rotating exhibitions and 20 working art studios. Off of I-55 and U.S. 61 along the Louis and Clark National Historic Trail. Founded in 1735, the French Colonial settlement in Missouri has over historic 100 historic homes and structures housing art galleries, quaint shops, award-winning wineries and micro-breweries. The picturesque community boasts great French-style cuisine and fun-filled festivals. The Great River Road Visitor Center will provide details and directions to all the sites to see and things to do. East of Uniontown, this historic German community is the location of Tower Rock, the landmark site on the Mississippi River that Lewis & Clark explored and measured. 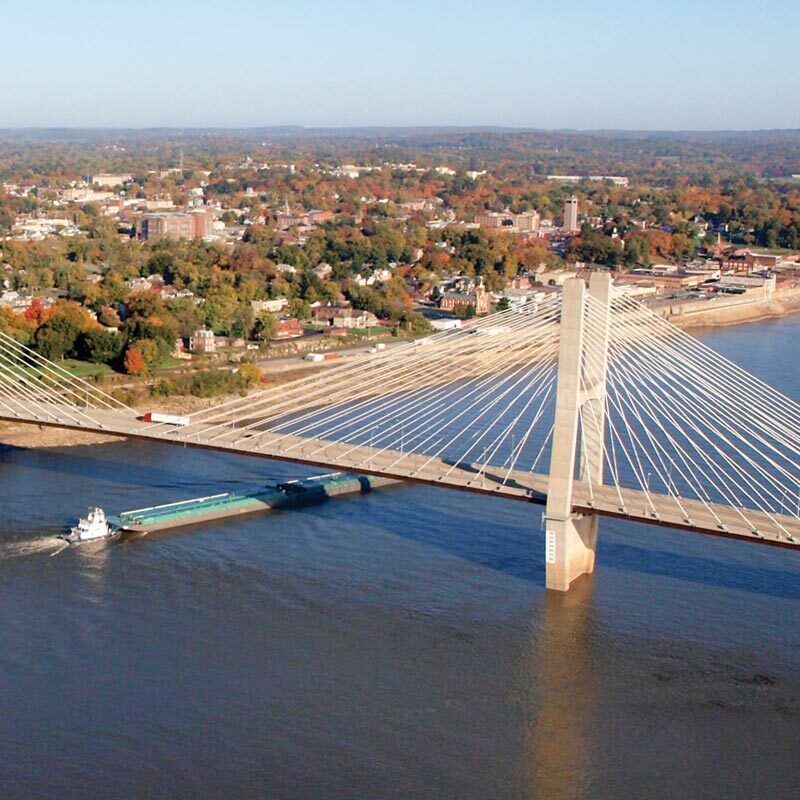 Cape Girardeau is the largest city in southeast Missouri. It was well established in 1803 when Lewis met Louis Lorimier at the Red House. A replica of the building was constructed in 2003 as a visitor center and the focal point for the historic downtown area which is framed by a 1,100 foot long Mississippi River Tales Mural. Antique stores, galleries, restaurants, and historic buildings in this unique setting attract thousands of visitors. The nearby Trail of Tears State Park where Lewis & Clark and the Corps camped on November 24, 1803, offers an interpretive center, lake boating, camping, hike/bike trails and playground. Other area attractions include the Bollinger Mill State Historic Site, the Cape Girardeau Conservation Nature Center, the Crisp Museum’s Crossroads Theater, Gallery and Kiosks; and Historic Fort D, one of four Civil War Forts that protected Cape Girardeau from Confederate attack. A Lewis & Clark commemorative site that features a map of the Trail chiseled in granite rock with flags and murals celebrating the Corp’s arrival in Missouri. 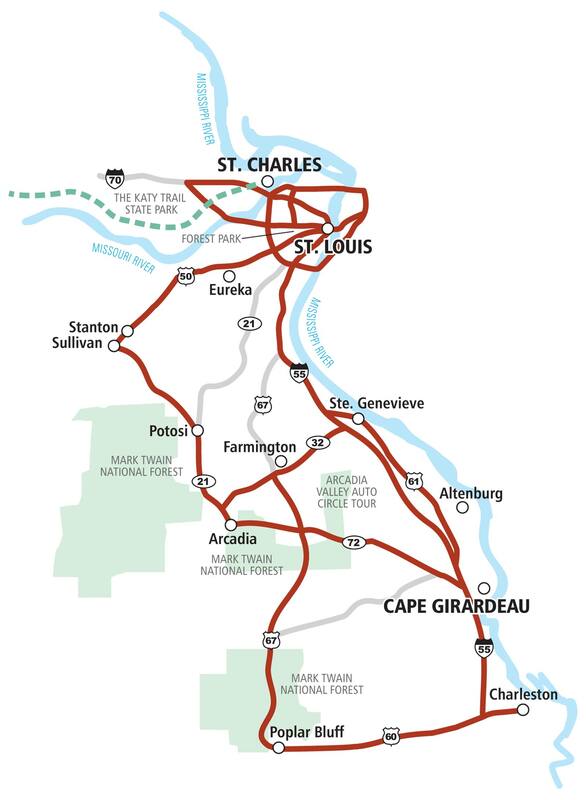 This tour loops out from Cape Girardeau on State Highway 72 west to Arcadia where it connects with Routes 21 and 221 and loops back to Park Hills and Farmington and the Missouri Mines State Historic Site and St. Joe State Park. The loop tour features an array of parks, forests, mountain vistas, historic and Civil War sites. Among the many fun-filled sites is Johnson’s Shut-Ins State Park,“shut-ins” being volcanic rock chutes that swimmers zip down on the cascading Black River. Equally delightful is the Taum Sauk Mountain State Park, Missouri’s highest point, and the Elephant Rocks State Park where huge granite boulders are lined up like elephants on parade. Potosi is at the junction of MO-8 & 18 adjacent to Mark Twain National Forest in the Ozark Mountains. Visitors will get breathtaking views atop Hughes Mountain. They can hike and bike the mountain trails at Berryman Recreation Area and take in the beauty of the Bell Mountain Wilderness. Off of I-44. 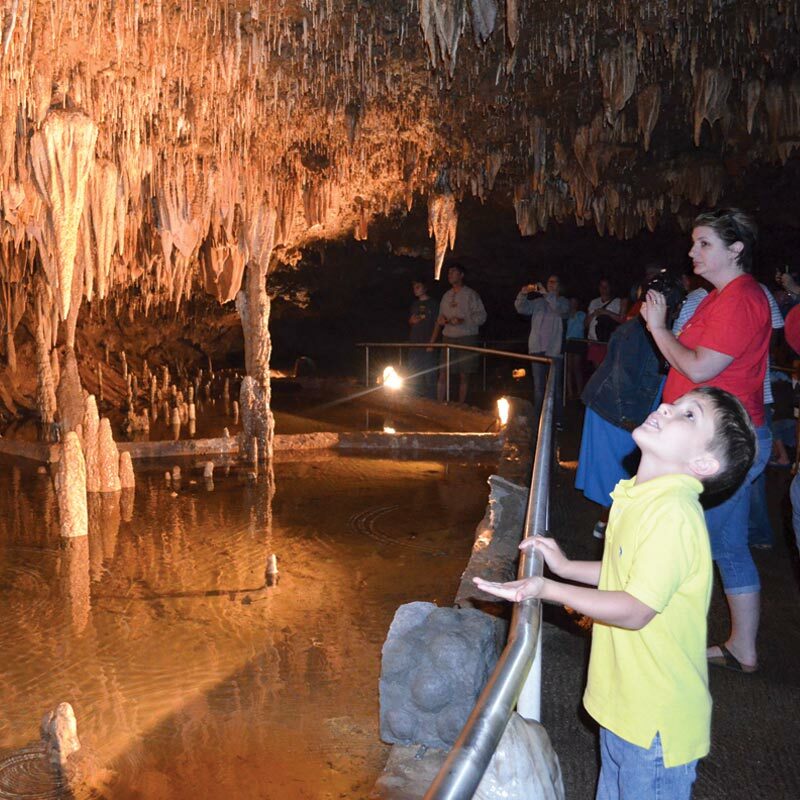 This area includes the underground wonders of Meramec Caverns in Stanton and Meramec State Park in Sullivan, plus the new zip lines over the Meramec River, thrill the boldest of adventurers. The Jesse James Museum at Stanton adds to the fun. Located off I-44 in west St. Louis County, Eureka has a population of just over 10,000 with many local shops and restaurants. It is also the home of Six Flags St. Louis amusement park that is also known as the “Coaster Capital of Missouri.” Nearby are the Endangered Wolf Center and the World Bird Sanctuary.